SINGULAR HOUSE next to Av. Joan d'Alós and Av. 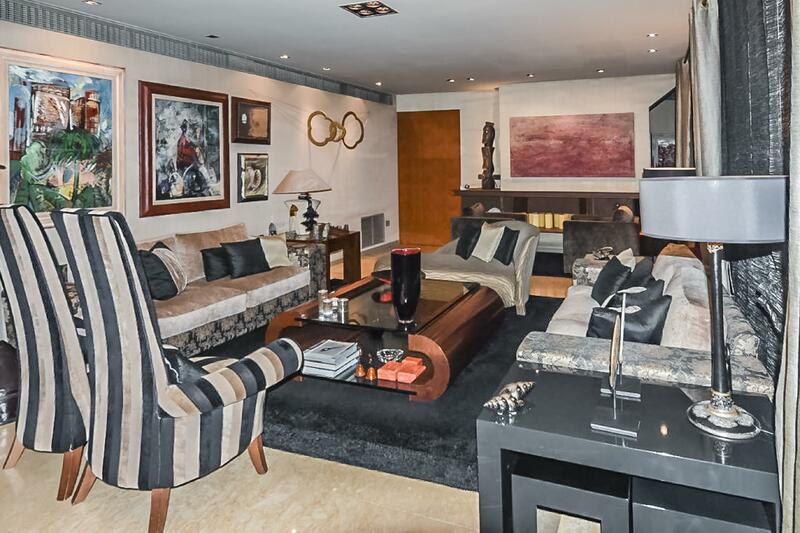 Pearson, two prestigious avenues of Pedralbes, where the best properties of Barcelona are located. Its spacious rooms enjoy natural light and incredible views of the city. The property measures 498 m² distributed in three upper floors and one lower one, communicated by a hydraulic elevator or by stairs. On the main floor, which is accessed from the lobby is the living room with a designer fireplace and an exit to the porch facing South, a large fully equipped kitchen, laundry room and ironing, a single room and a toilet Courtesy. On the first floor we find a second living room with a projector and an automatic screen, three suites with their full bathroom and two single rooms that share another of the bathrooms in the house. 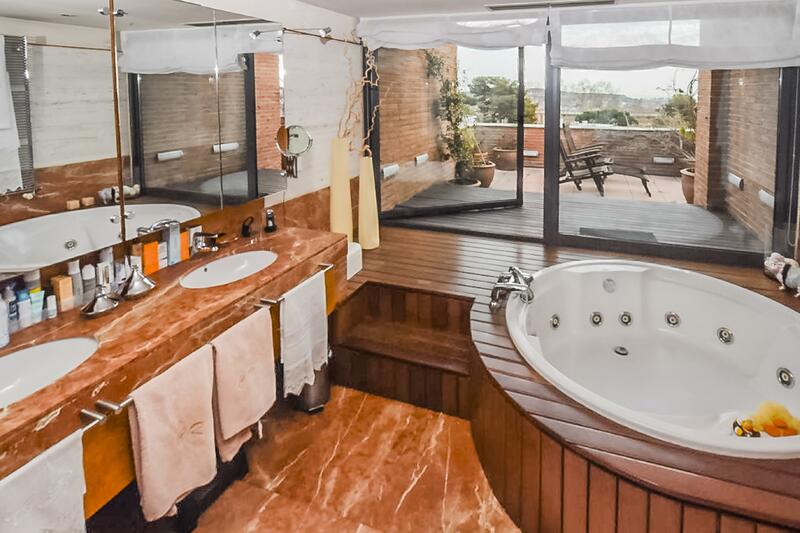 On the upper floor we find a master suite with a glass roof, a large dressing room and a bathroom with hydromassage and an exit to a large terrace from where you can enjoy sensational views of Barcelona. 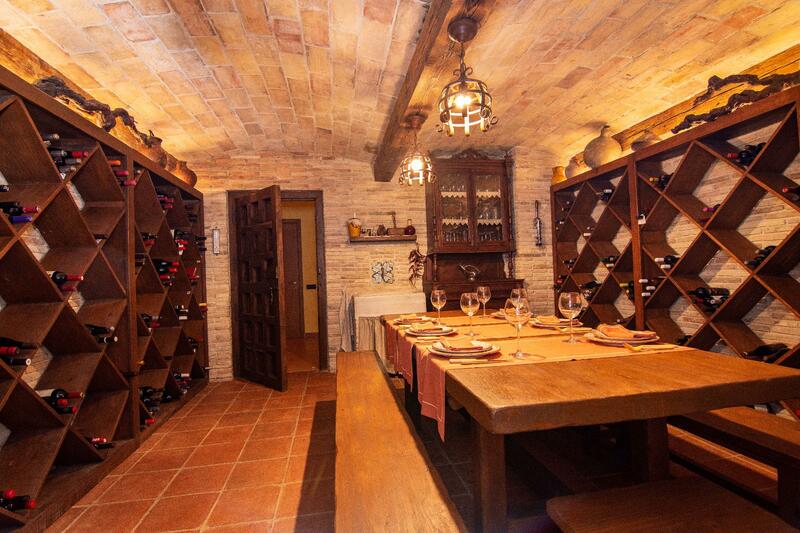 In the lower part of the property we find the games room, the gym, a large storage room and a fabulous Bodega in the purest Riojan style with an air-conditioned insulation suitable for the maintenance of its wines. The garden, with flat terrain, has automatic irrigation, soundproofed aluminum carpentry, solarium and a swimming pool. Air conditioning and heating throughout the property, central vacuum, osmosis equipment, large boiler and water storage. 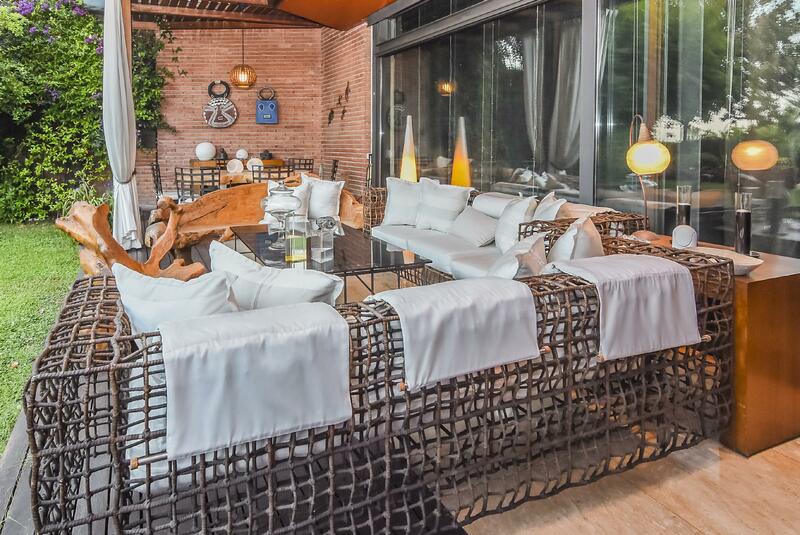 A URBAN OASIS, in the center of Pedralbes, next to the best international schools in the city. When one thinks of the luxury areas of Barcelona, Pedralbes comes to mind immediately, since it’s one of the most exclusive neighbourhoods in town. The Catalan capital has grown a lot in the last years and, now, Pedralbes finds itself very well located, touching the Diagonal, one of the most important business and academic areas of the city. Formerly located at the outskirts of Barcelona, it was where aristocracy and the bourgeoisie used to spend their summer vacation. Pedralbes’ past has left an exquisite print, in the form of palaces, estates and mansions with gardens which are now enjoyed by the new owners and tenants (truth be told, we are proud to say that some of those jewels can be currently found for sale or rent in our collection). The new constructions, both luxury urbanisations and top-quality apartments, designed with style and adapted to the neighbourhood, bring a touch of modernity and fresh air to it. For those who are looking for a new home in Barcelona, this is a spectacular place to live in. The streets are wide and allow the views to get lost in the vastness of the sky, framed only by noble façades and historical buildings. On top of the stunning sights, there’s a large number of parks and green areas where you can enjoy a stroll and be surrounded by nature - such as the Gardens of the Pedralbes Palace. Pedralbes is a very quiet neighbourhood (which many families are very grateful for), especially in the residential areas. And that tranquillity shows itself in all its splendour at Santa María de Pedralbes Monastery, a gothic style construction that was founded in the XIV century, with a cloister where time seems to be standing still. The area offers, in addition, exclusive amenities, such as the Reial Club de Tennis de Barcelona. But one of its most recognized virtues is the high level of its educational institutions, with notable mentions like the elite international centres: Superior Business School ESADE, St. Peter’s School or the French High School. With all this, Pedralbes has always been and still is one of the favourite places for the upper class. A proof of that is the fact that not even Gaudi, who built the Güell Pavilions, passed by without leaving his print. Without a doubt, this is a place that deserves consideration from those high-quality lovers who wish to buy or rent a property in Barcelona. ABADESSA OLZET - AVDA. PEARSON. 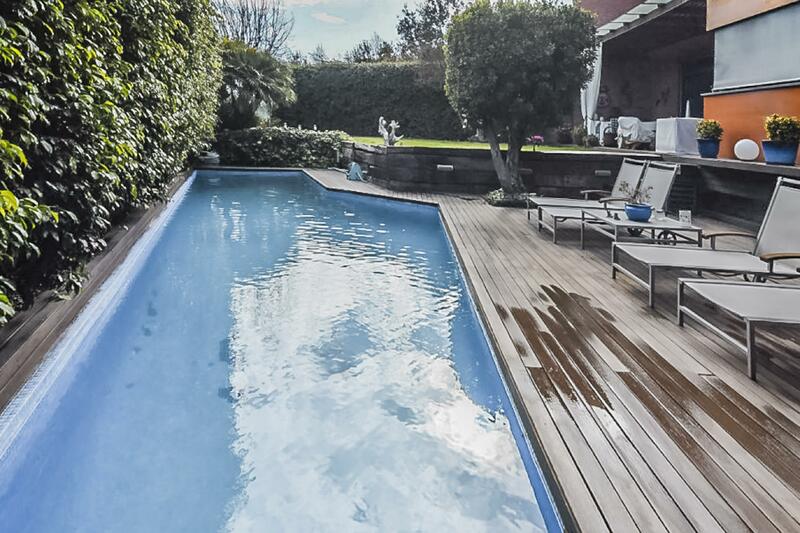 Extraordinary property located in the exclusive neighborhood of Pedralbes. Located on a plot of 1500 m2 this property is distributed in four large plants in a total of 900 m2. The spacious hall of the house invites us to enjoy an extraordinary living room with stunning views of the terrace, the porch, the garden and the pool. The kitchen equipped with the highest range, has a central island and a breakfast area, with access to the garden. The house has 5 spacious suites with terrace and a games room, distributed over two floors. The entire property is equipped with the best design and luxury finishes, electric shutters, elevator, marble floors, home automation system and state-of-the-art security system. The lower floor, the property has a large garage with 6 cars, room service, patio, water area and ironing room, gym and a large cinema room. 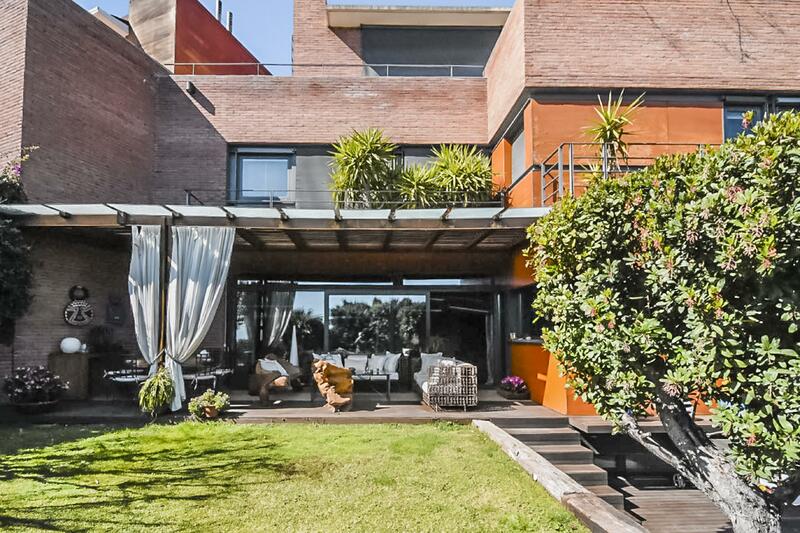 Magnificent property to enjoy the most exclusive enclave of the city in an atmosphere of luxury and design. Exclusive house in a privileged location with nice and unique views of emblematic spaces of Barcelona. It is a detached house on 1,300 m2 of land and 707m2 built distributed over 4 floors leaving each floor with all the necessary facilities and all connected by stairs or by elevator in perfect condition. The access to the house is by main street and well connected. The entrance gives directly to the parking and also to a pedestrian access for guests. From the parking there is access to a multipurpose room, a large floor that leaves a large service room with exterior window and another large room for games or gym since it also faces the outside. We access the main floor destined for day life and with access to the large garden with swimming pool of 11 mx 5.5 m and with an area as outdoor dining room protected by a structure / pergola of the highest quality. On this floor we find the pleasant living room divided into three areas and directly connected to the kitchen that also overlooks the outside. On the same floor they have enabled a bath of luxury and exclusive materials; unrepeatable for another house since its origin and production is scarce. On the first floor we find the whole area of rooms for children and guests. In total there are 4; two of them main with their own bathroom and another room attached to office (therefore these two main rooms could become 4 in total). In addition to these two suites, we also find two more rooms that share a bathroom. This plant follows the same trend as the rest of the house, materials of the highest quality and in perfect conditions. The last floor of the house is intended for the master suite. A space of great size and conditioned in the best possible way. It is distributed in two environments. Panoramic view 270º Luxurious property three winds in Pedralbes, the light invades this 350m² apartment inviting an unusual calm in the city of Barcelona. The abundance of meters and the successful set of materials make it unique and spectacular, timeless with a magnificent living-library of 100m². It is a privileged oasis. Impressive apartment surrounded by the green park of Cervantes, wonderful views of Barcelona and its coastline, without equal for its surroundings, tranquility, light and sun all day, you can also enjoy the views of the parks of Cervantes and Collserola. Its living room of 100m² allows to separate the stay in well defined areas (dining room, living room with fireplace, library office with beautiful bar furniture.) It has 5 rooms, two of them suites, one double, one single and another service. 3 full bathrooms plus 1 toilet, in the service area another bathroom also complete. The very spacious kitchen has forklifts and laundry. Two parking spaces and 1 storage room in the same building and several places in the outdoor community area. A multipurpose room of 107m² for community meetings and festive events. Community pool surrounded by garden. Concierge and night watchman. Spacious and elegant lobby. A natural environment 3 minutes from the main shopping centers, international schools, university campus and magnificent transport network, (metro, trambaix buses). Unique opportunity in your area. 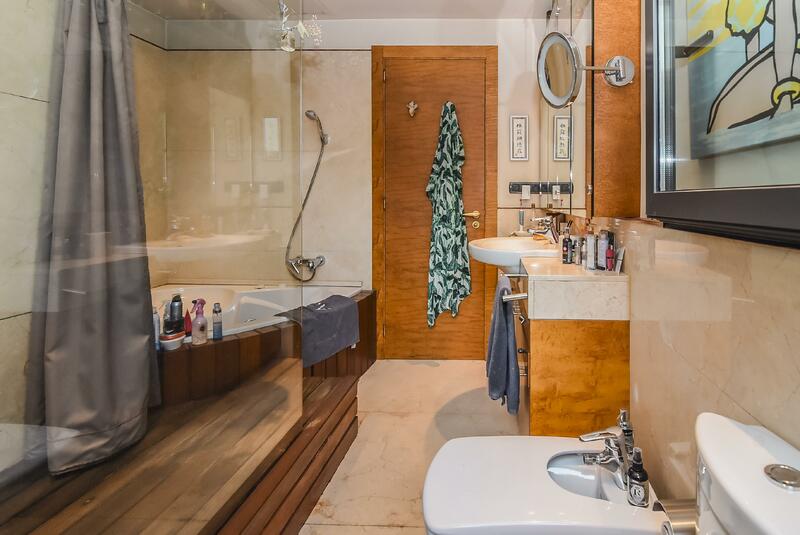 PANORAMIC VIEWS 270º Luxurious property with four winds in Pedralbes, light invades this 350m² apartment inviting an unusual calm in the city of Barcelona. The abundance of meters and the successful set of materials make it unique and spectacular, timeless with a magnificent living-library of 100m². It is a privileged oasis. C / CAVALLERS - MIRET I SANS. Located in one of the most exclusive areas of the city and next to the best schools, we find this high standing apartment of new construction, 185m² of housing and 30m² of terrace. The totally exterior housing, is distributed in 4 bedrooms, one en suite, large kitchen with office area equipped with high-end appliances and 50 m² living room. In addition, two parking spaces and storage room are included.